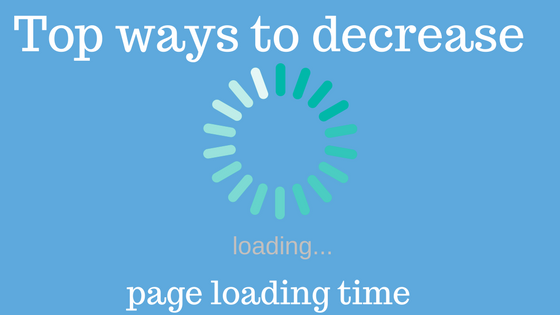 Why is it important to know how to decrease page load time on your website? Well, to answer that question, ask yourself this – what do you do if you visit a website and it doesn’t load right away? Unless you really, really want to visit that particular site, you leave, right? If customers search online for a business like yours and they find their way to your website, brilliant! If they find their way there only to find themselves waiting, even for a few seconds, the chances are that you’ll lose them to a competitor. Don’t fall at the final hurdle. When you’ve done the hard work and made sure that your website can be found by prospective customers, read up on how to decrease page load time and take these few simple steps to improve conversion. Unless they have been correctly optimised, the images and videos on your website could be severely slowing it down. The smaller your files, the faster they’ll load, so aim to reduce the file size of your images and video as much as you can. Of course, don’t sacrifice their quality but keep them compact and in the correct format in order to decrease page load times. Your host server can make a big difference to your website’s loading speed. If your site is hosted on a shared server then the chances are that you’re sharing that server with lots of other websites, for lots of other companies. The loading speed of your website will be impacted by the number of people visiting all of those sites at any one time. If your website isn’t loading as quickly as you’d like, it might be time to upgrade your package or switch your hosting to a dedicated server. When you visit a website that has enabled caching, elements of that site are stored in your computer’s cache, or temporary storage file, so that it loads more quickly next time. Enabling browser caching won’t increase the loading speed of your website for first time visitors, so it’s important to take other steps as well, but it could make a difference to the people who return. Your CSS has to load before people can see your site. The longer that takes, the longer it is before your site displays. Superfluous code and wasted data can seriously impact page load time, so get rid of anything you’re not using. Your CMS may have a CSS minimiser that you can use to do that. If it doesn’t, there are free tools online that you can use. Let Us Help Decrease Your Sites Loading Speed! There are plenty of free online tools to help you take these steps and decrease the loading time of your website but if all of this is going over your head, never fear! We’re at the end of the phone whenever you need us, ready and available to help you make sure that your site is loading lightning fast! Aside from the points we’ve listed here, there are any number of ways that your site could be optimised to make sure that it’s receiving visitors and converting them into customers. If you want your online presence to work harder for you, get in touch by calling us on 0151 329 2988!